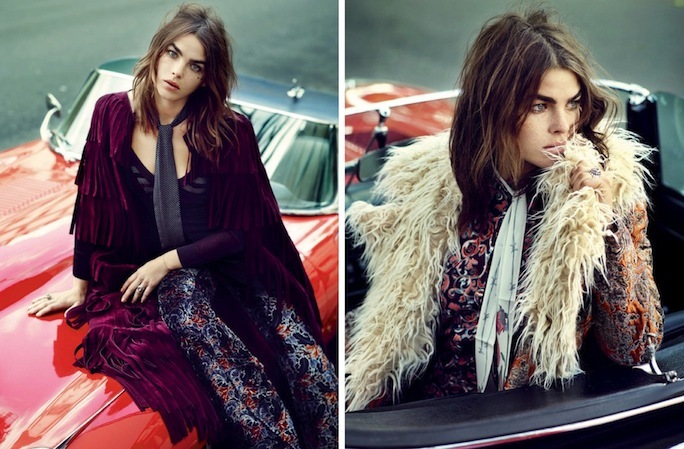 Bambi Northwood-Blyth made bohemian dreams come true in a fashion editorial photographed by Marcin Tyszka for Elle UK, October 2015. Rich textiles in burnt oranges and sultry lilacs meld with seventies inspired silhouettes to evoke a timeless and romantic boho feeling. Channel Bambi's bohemian vibe by shopping current trends such as eembroidered boots, shearling coats, skinny scarves and fringe.